If you’ve ever wanted to shrink yourself down and explore a doll’s house, this book will get you pretty close to that. 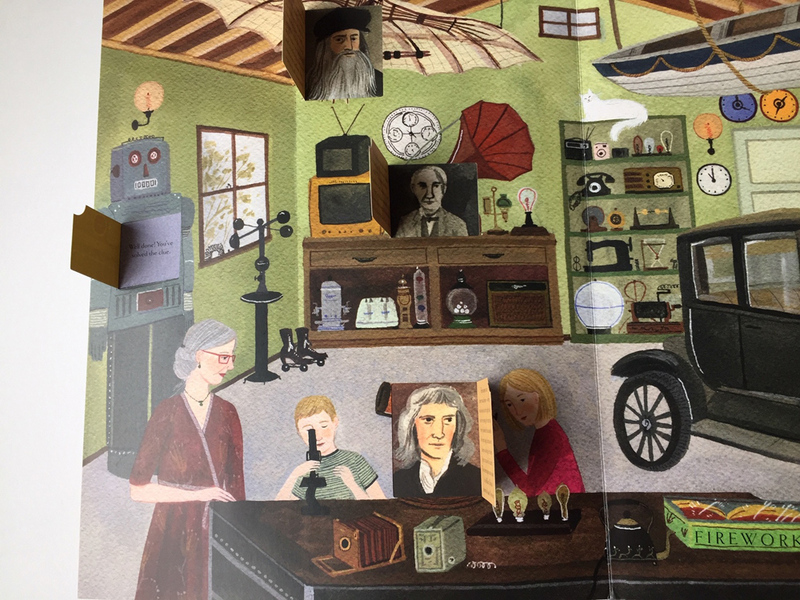 There’s an absorbing, fun dimension added by the flaps scattered throughout the book, which reveal interesting facts and help you solve the riddles on each page. The illustrations are packed with objects and details, but it feels deceptively simple, perhaps because of the strong shapes, naive use of perspective and harmonious colour palette. 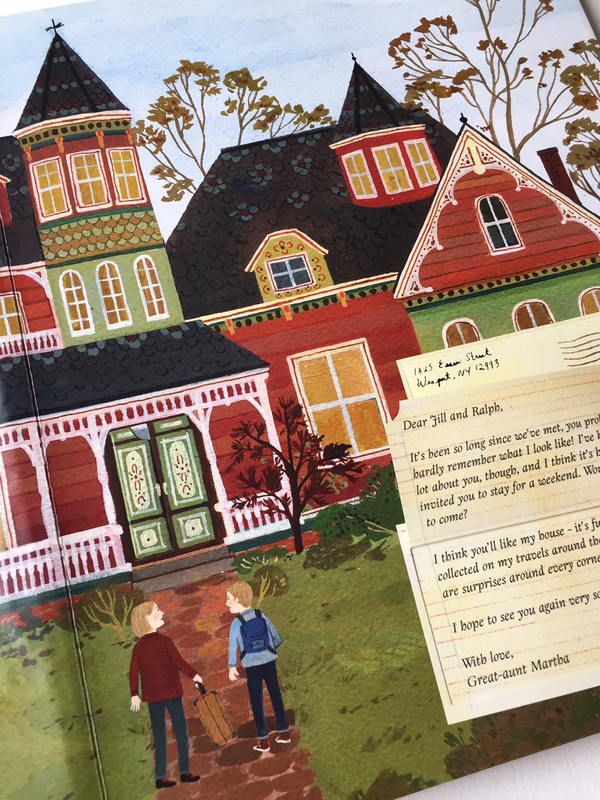 The story itself leads you to search the house with two children who have been invited to visit by their Great Aunt Martha. 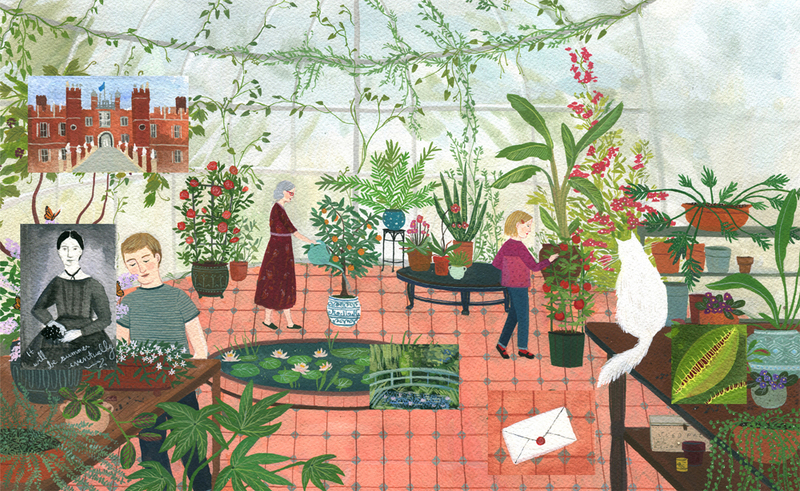 I caught up with Illustrator Becca Stadtlander who lives and works in Covington, Kentucky and asked her a few questions about the process of creating this richly illustrated book. I love the detail you’ve illustrated into each room. Can you tell me a bit about how you went about researching the objects you drew? Thank you, it was a very fun project to work on. 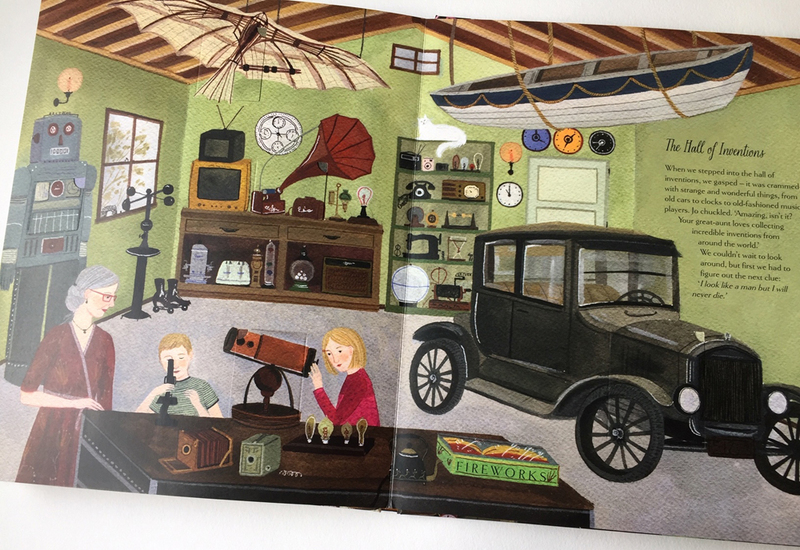 I had a lot of help with research from the publisher, who sent me very extensive photos and information for the objects of importance in the book. Aside from that, I still did a lot of research on my own to help with the room layouts, color, and the ideas for what went in each room. I have hundreds of photos of furniture and other antiques that I looked at for reference. 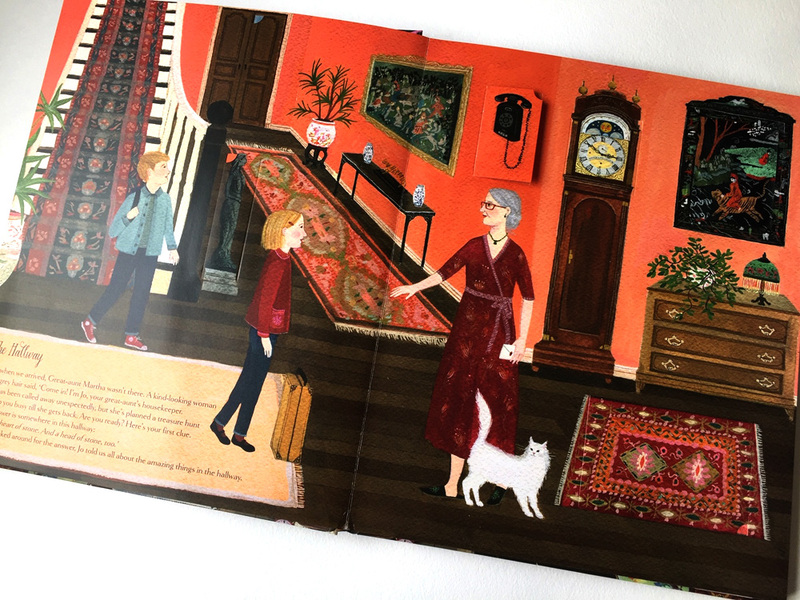 Were there any challenges in illustrating a lift-the-flap book? Yes! That was most difficult part of designing the book. Each layout had to be mindful of where the flaps would be on the pages before it, and following it. 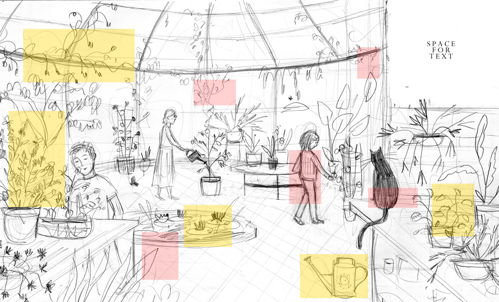 It was very limiting as to where I could put the flaps, and how I could design the room and place the characters. It drove me crazy – it was like a jigsaw puzzle that I had to figure out as I went. How closely did you work with the author? I spoke with Kate Davies about the book almost weekly. In addition to writing the book, she did most of the art direction and editing. It was a real labor of love for the both of us. Would you tell me a bit about your working process? I always start with collecting research material, so I can get some visual aids. Coming up with ideas of what to draw is always the most difficult part for me. For this book, as I mentioned above, I had to be mindful of the layout, so I worked out each spread as a quick pencil sketch and then developed it into a more realized pencil drawing. After that, I’m able to put it on a light box and trace the drawing underneath it on to watercolor paper. Then I have a clean drawing on the correct paper and I can start painting. I usually paint in layers, but for this book, since it was so detailed, I had to fill in my drawing with paint, like a coloring book. Right now, I am working on new greeting card designs, a landscape painting for an editorial article, and completing the cover for my next children’s book. Lots to look forward to from Becca Stadtlander coming soon. 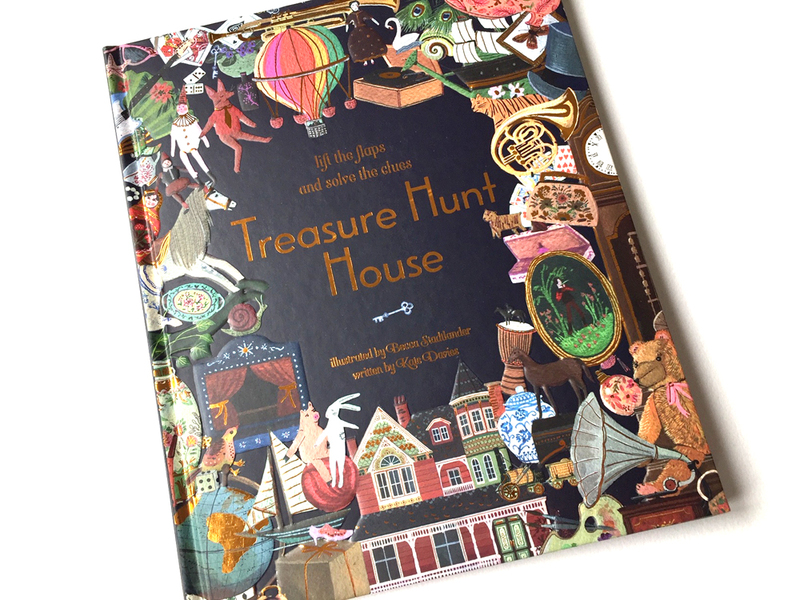 Meanwhile, after reading Treasure Hunt House, you will wish you had a Great Aunt Martha of your own and almost certainly hanker after a cabinet of curiosities to explore.